A few years ago, Yahoo was ruling the search engine world while Google was lurking in the dark on the search engine page. The ranking of the websites on the search engines solely depends on the content posted on the web pages. Soon, Google has come up with a search engine algorithm called page ranking which has changed the way search engine pulls out the results. Basically, based on this algorithm, search engine fetches the results of the search engine that has more number of relevant keywords with which user is searching over the other pages. Also, it displays the results of the websites that have more back links. Furthermore, this algorithm also rank the page based on the number of websites it is linked with. Link building is playing an integral role to improve the search engine ranking of the web pages. This link building is still being practiced by the people to put their website in the first page of search results. Undeniably, link building is one of the three search engine ranking factor that has to be taken into account by the SEO experts while preparing an SEO strategy for a business. This helps hte business to improve its traffic and sales within no time.You need to know key things involved in building a solid link building campaign. Few of the seven requirements one has to consider to build an effective campaign. To attain success in building an effective link building campaign, you first need to have a right plan in place and should know where you are standing, what you want to accomplish and how you want to proceed. You need to identify your business objectives that help you to attain success in your marketing plan. Before you say that you campaign is a big success, you need to know the measuring factors that will decide the success or mars of a campaign. The plan helps you to determine the links you should have to your website in order to achieve success. You first need to check the type of links your website and your competitor’s website has. You need to use various back link checking tools including Majestic, Moz’s Open Site Explorer, SEMrush, and Ahrefs. Using any of these tools will help you find out the links to your website, performance of the web page, fresh links, branded anchor text, etc. Having a plan in place will help you to get the back links from the industry sites similar to yours or from the other industries that are something related to your industry. Link building will not happen in a day. The product you are developing and service you are providing should be useful for the customers. Google has included link building as criteria in search engine ranking, since it improves the credibility and authority of a site. To be precise, links are considered to be the internet referral system. If you want to promote a product, then the product should be worth to promote. Initially, you need to create an appealing website to promote your product and its benefits or features. If your product is not really helpful for the audience, then focusing on SEO and link building would be a waste of time. Unarguably, you need to put that time in improvising your product. Have a highly featured product and a top-notch quality service will make your business and the link building campaign a tremendous success. When you include a link in a website and the customer clicking the link will be redirected to web page where there would be content. You need to prepare the content pertained to your product or service when read by the customers would compel them to take a desired action. Undeniably, for a successful link building campaign, you would need to have quality content. The quality content will impart knowledge to the readers about the product/service. The content would include researched content, case studies, insights given by industry experts, industry news, etc. In addition, there are other contents including listicles, videos, info graphics, reviews, visual content also can build quality links. How to develop informative content? Many businesses totally depend on their products to gain incoming links. They do not want to link the product pages to other websites instead want to link their product pages to the content where the audience can find more information about the product. So, it is a good idea to start a blog. Anyways, you know your target audience, so projecting the content that strikes their chord would reap you positive results. Ideally, your target audience would be readers, existing customers and prospective clients. You need to question yourself prior to start writing a blog post on what content would educate your users about the product and create such content to generate more leads. Undeniably, despite of having quality content would proper promotion it would not get its recognition. Therefore, you need to have quality content to create a solid link building process. Link building campaign is an integral part of marketing campaign. So, in order to make the link building campaign an astounding success, you need to give a meaty part to link building campaign without overlooking it. More importantly, this campaign work wonders when you integrate this without other marketing strategies including content marketing, email marketing, social media, search engine marketing and PR (Public relations). For example, when you run the link building campaign immediately after a publicity campaign, then you can see the steep rise of links for your brand. More importantly, if the link building campaign is successfully, then your campaign will be shared by the audience on their social media accounts, thus helping you get more followers on social media and increase in email subscribers. In this current digital era, you can never ignore the link building strategy. If you are building links to your website from other sources to improve your search engine ranking, you should also have idea on how search engine works. This helps you to make your link building campaign more effective besides boosting your search engine ranking quickly. The back links created are never equal. Ensure that you are posting your website link in the relevant and authoritative website. You need to list out the government websites and quality sites of your industry from which you can get the back links. If you sell groceries online and linking your website to a real-estate site would not be a quality back link. In fact, this will not help you to make your link building campaign successfully. You need to post in the website that is relevant to your business and where your audience frequently land. Undeniably, when you post links on irrelevant sites and the website visitor landing on the site will immediately bounce realizing that the content on the site is not what they are looking for. To be precise, link building is a way to build relationship with the customers and reach the target audience globally. When you post a back link in the websites similar to your industry, then your audience will get back to when they click on the link. This endorses your brand. Also, this is a way to tell the customers that the information posted on the linked site is reliable and is posted by renowned website. Relationship is important all the way to attain success. Undeniably, if you have good relationship with the other people similar to your industry, then there are high chances of your getting quality back links. For instance, if you have a good relationship with the blogger, you can request them to post your guest blog article in their blog with your website link. You can place your links in the websites where audience are talking about your brand to generate traffic and leads. You would be wondering how to convert the mentions of the audience about your brand into links and how do you get to know when your audience have mentioned about your brand. Then, you need to start using Google alerts tool. This helps you to get all the information about where your brand name is mentioned and URL is shared. All you need to do is to paste the site URL in the alert box and you would get the list of web pages where your site is mentioned. From these websites, you can get their contact details and get in touch with them. Interestingly, the people already know about your brand you can request them to post your blog article as a guest post in their site. This helps you to get traffic from their website and generate leads. Content is King in the digital world. It helps you to connect to the audience across the globe. The informative content will engage the audience on your site for a long time, thus improving traffic and sales. Undeniably, the link building campaign would be a big success, if you post valuable content for the readers that are really useful to them. When you are posting links in the site, you need to ensure that it adds value to the readers. Also, when creating content, you need to ensure that it is of top-notch quality and highly informative that the other website owner should find it worth to add in their websites. 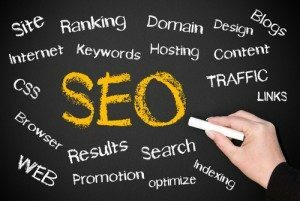 SEO is a crucial part for a business to be successful online. This is a continuous practice to keep up your website ranking in a good position. You should never feel demotivated of not being ranked better instead try to incorporate these seven steps to make your marketing strategy solid and gain high returns on investment down the line.